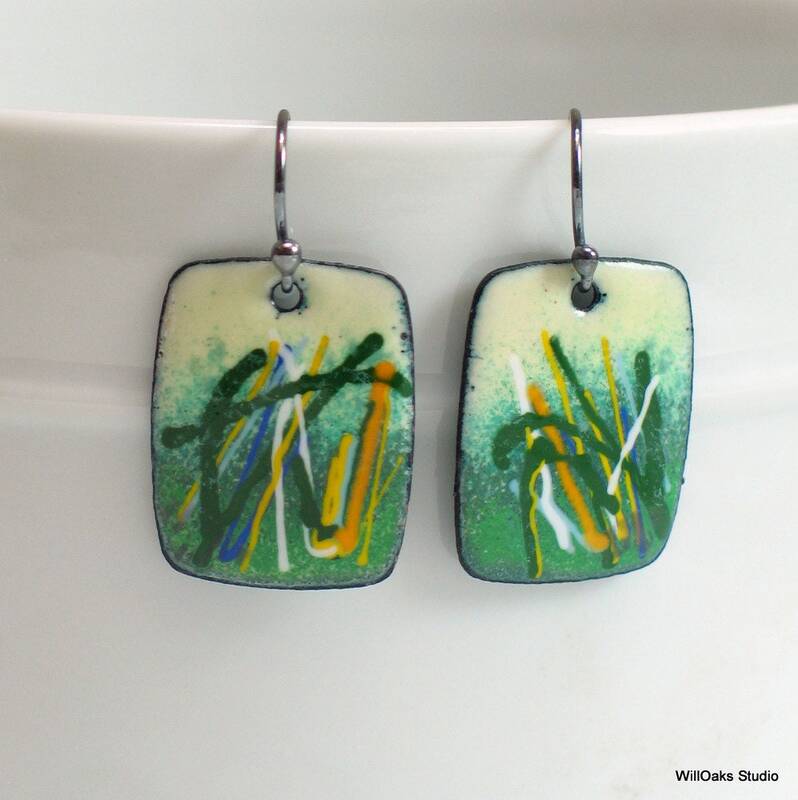 A colorful abstraction of wild grasses, inspired by nature in shades of greens for original dangle earrings. 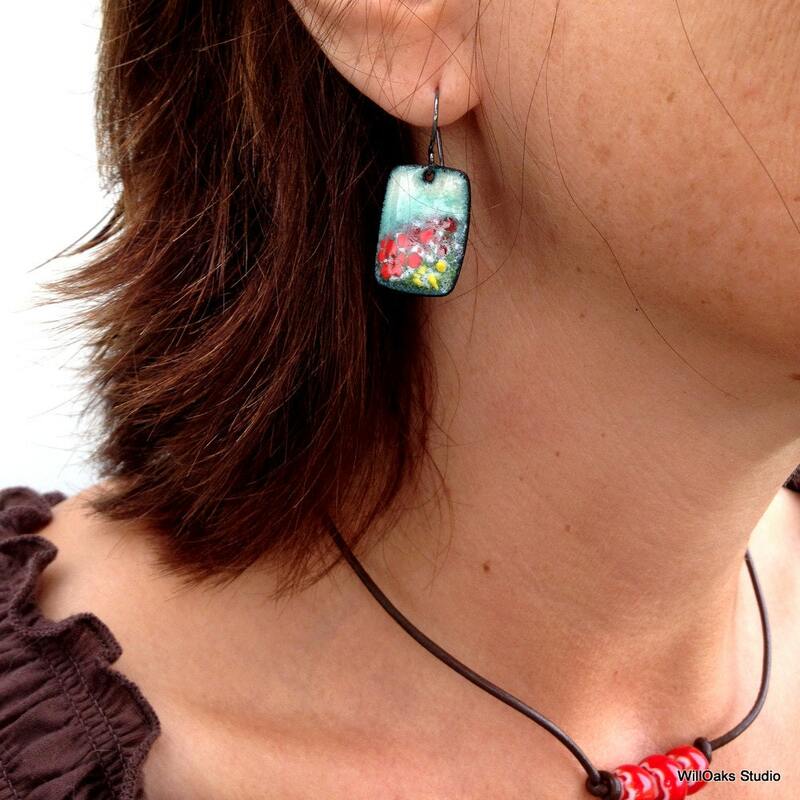 Enameled on copper and hung on handmade oxidized sterling ear wires, these are ready to ship. 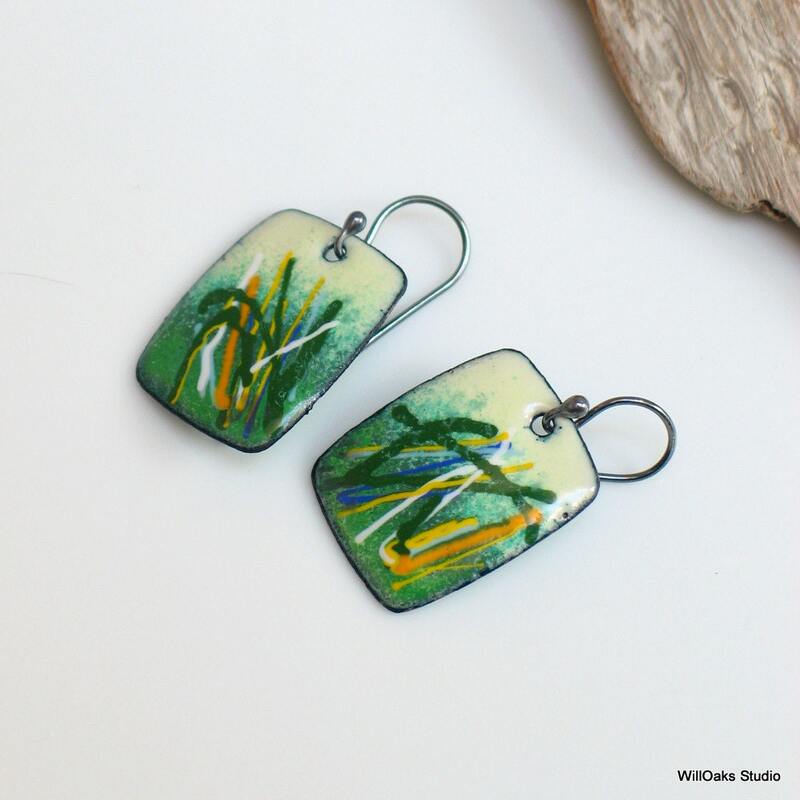 Just over 1 1/2" long measured from the top of the ear wire, the vitreous enamel is kiln fired onto a smooth copper rectangle that is about 1" tall. The back is counter enameled in a dark translucent green. 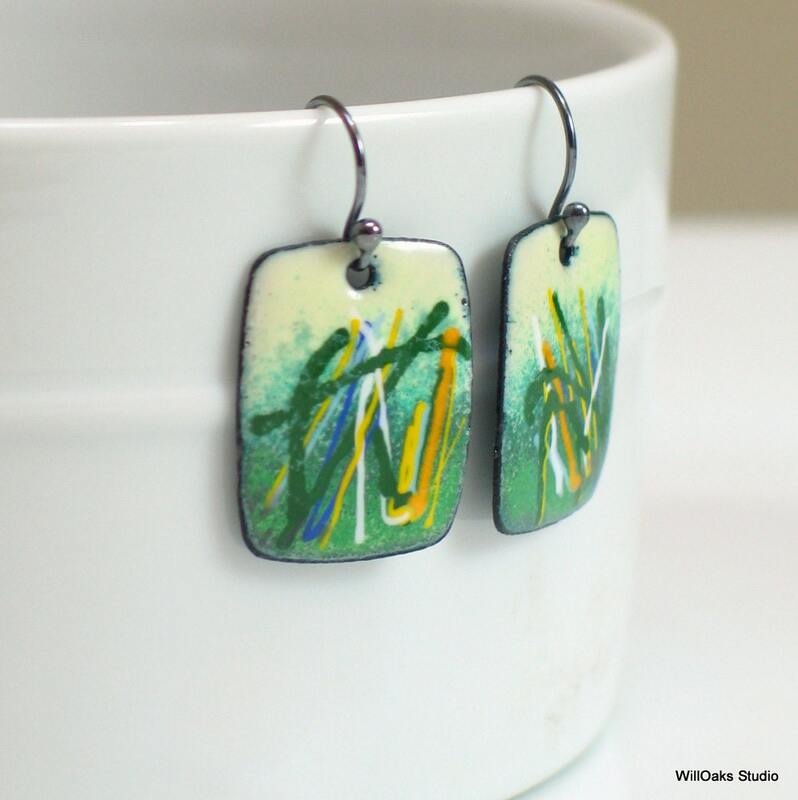 Vitreous enamels is a process where powdered glass is manipulated on metal and then bonded together under heat of about 1400F to 1450F to create a permanent durable piece. Because these designs are rendered in glass, they will never fade, smudge or change. Model is wearing earrings in the same size and shape, but her pair is not available. Photos are made with a macro lens to show details so please refer to size cues and information to understand the actual size of the earrings. 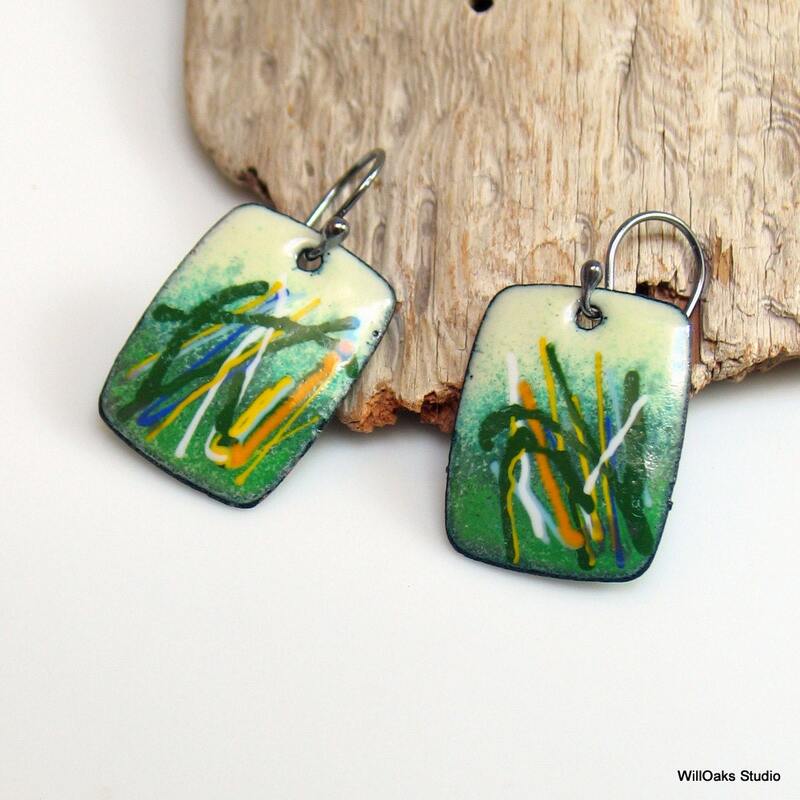 To see more original earrings check here https://www.etsy.com/shop/WillOaksStudio?section_id=5768146.